Italian by birth, I have more than 30 years of experience in the ice cream and gelato industries. My specific areas of expertise include frozen dessert recipe balancing and development, nutritional evaluation, production planning, production fine tuning and improvement, hygiene control flow (HACCP), shop and facility layout, profitability analysis, technical and commercial training for frozen dessert equipment sales staff and end users. 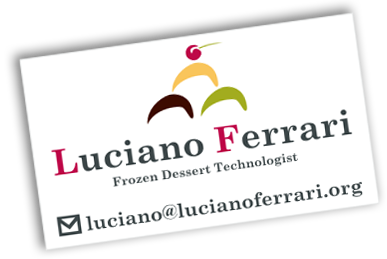 I have worked as the frozen dessert equipment R&D manager with a manufacturer of gelato batch freezers and drink dispensers. For 14 years I owned and ran a gelato shop, producing gourmet gelato and European style frozen desserts, specialized in the manufacturing of gelato, sorbet, frozen pastries and semifreddi. In Warsaw, Poland I was owner and production manager of a wholesale gelato manufacturing plant and I continue to do professional consulting in Poland today. In 1994 I joined Carpigiani, the largest manufacturer of artisan style ice cream and gelato equipment in the world based in Bologna, Italy. There I became the head of the education and training division. I've also been the Director of Education for Carpigiani North America, collaborating with the Carpigiani Frozen Dessert University (FDU). In 2004 and 2005 I was an instructor at the World Pastry Forum. I was a judge in the international jury of the 2005 National Pastry Team Championship, the event that selected team USA for the 2006 World Pastry Team Championship. 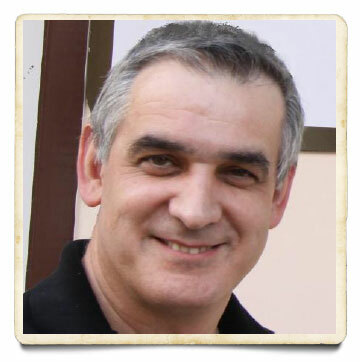 I currently work as a freelance professional and instructor at Carpigiani FDU in North America and at Carpigiani Gelato University in Europe and worldwide. In the US market I have developed successful concepts for major ice cream key accounts and upscale grocery stores. Current commitments find me conducting ongoing seminars and consulting on gelato, pastry and frozen dessert all over the world. Some of the locations that have invited me to teach training sessions and to lecture are prestigious institutions such as the Johnson & Wales University, the Penn State University, the National Ice Cream Retailer Association, the New England Ice Cream Retailer Association and culinary schools in Belgium, Great Britain, Holland, Hungary, Italy, Lithuania, Poland, Scandinavia, and Spain. I have developed creative new products for operations in Europe, Middle East, India, China, and Vietnam. I write technical articles for trade magazines and I'm the author of technical books and publications. I am fluent in Italian, English, Polish, and French.